The English summer has hit and the weather has been about as lovely as you could hope for in England with long warm evenings that call for . . . nay DEMAND . . . drinks and nibbles in the back yard. Now that the BH and I finally have a back yard worth speaking of that’s where I want to spend my time. So the search for yummy nibbles that takes no time a all to prepare (who wants to spend time in the kitchen when you can be enjoying the sunshine) is on all over again, but I think I have a winner with this one. I have very recently discovered Yuzu juice (thank you Waitrose) and I am more than a little in love. 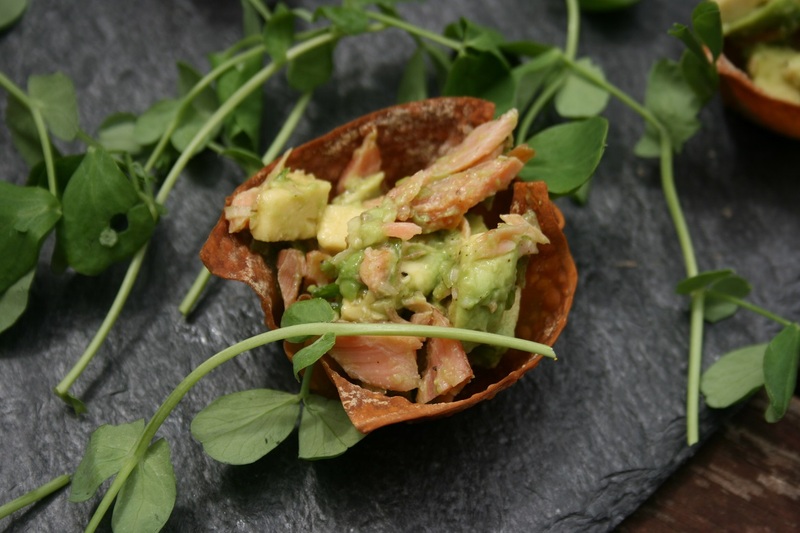 Its tartness cuts right through the richness of both the salmon and the avocado without being too sharp and it adds a really nice oriental touch to the dish. In keeping with the oriental (ish) theme of these little yummies, I decided to put the filling into wonton cups and not pastry cups. This worked out really nicely as the wonton wrappers did not go soggy even though they were filled about two hours before serving. Heat your oven to 180°C . 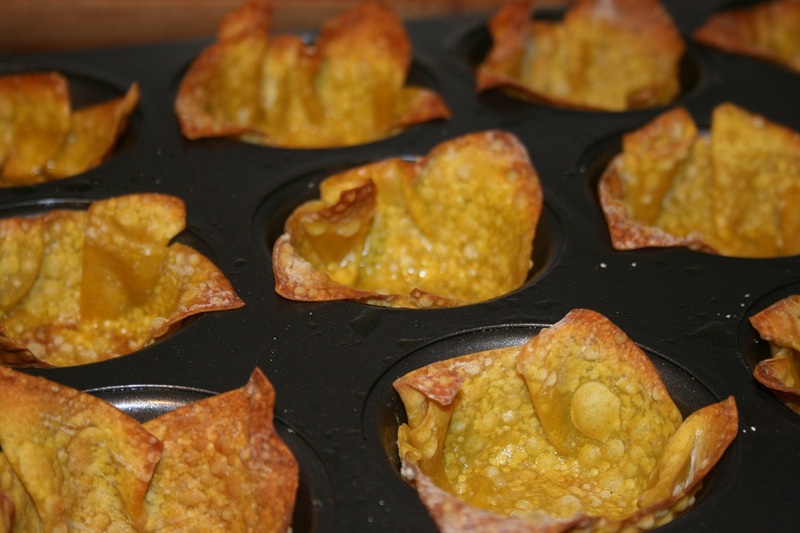 Then brush a muffin tray with olive oil and then push the wonton wrappers into the tray to form little cups. Brush the pasty with a little more oil. Place these in the oven and cook for about 8 to 10 minutes. Keep an eye on these as they burn very easily. If you can’t find wonton wrappers or if you’re just feeling that industrious, check out Kitchen Simplicity’s blog on how to make them yourself here. 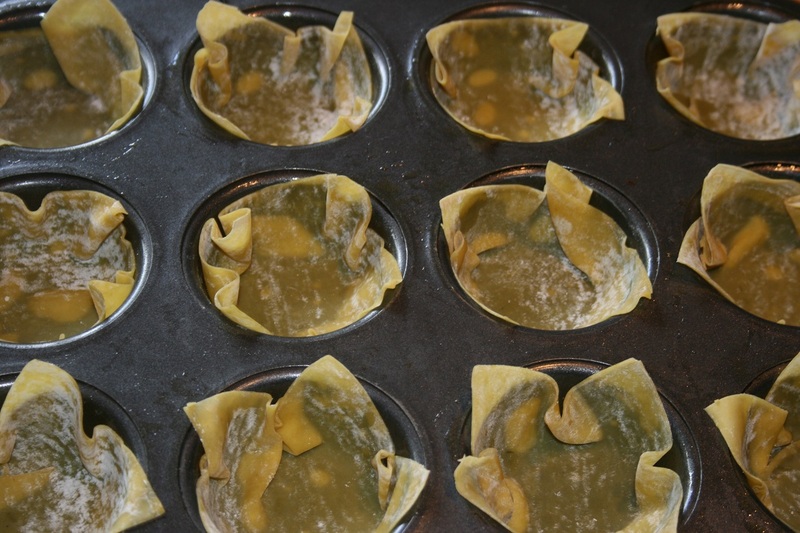 While the wontons are browning, make your filling. 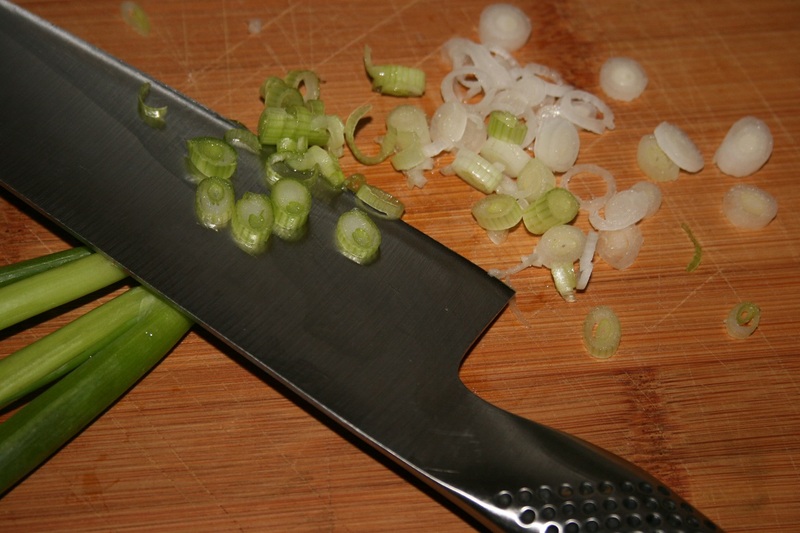 Finely chop a spring onion, or two if you really like onions, and place in a bowl. Cube your avocado. I’m going to let you in on a little secret. If you want to know the best way to open, remove the pit and cube your avo, pay attention. Take your sharpest knife and cut down until you reach the pit. Then turn the avo keeping the knife touching the pit until the knife meets up with the original cut. Put the knife down. You should have a complete line running around the avo. Take a side in each hand and twist and pull which should leave you with half avo in each hand. Then take your knife and with some force, but not too much, hit the pit. 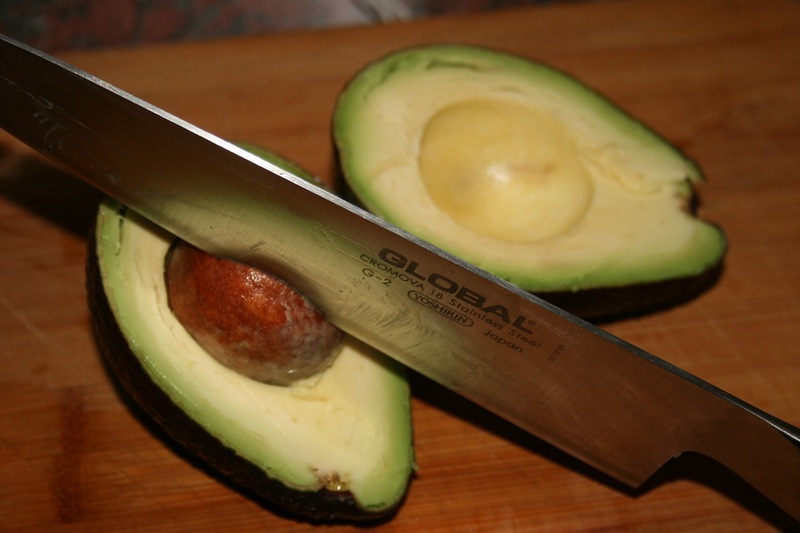 Give the side of the avo with the pit in it a gentle squeeze and pull out the pit with the knife. Now with the skin still on and not cutting through the skin, cut the flesh of the avo into cubes. Then grab a spoon and scope the avo on top of the onion. 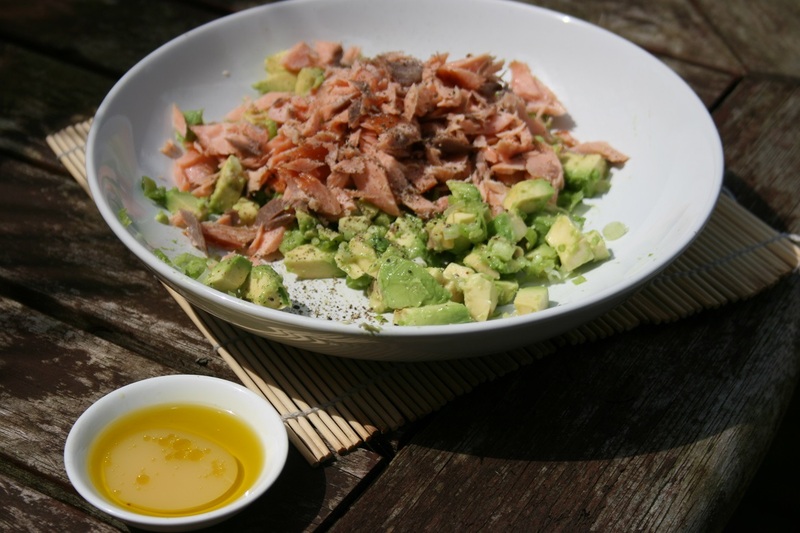 Flake the salmon with a fork and add to the avo and onion and then toss with a 50:50 mix of yuzu and olive oil. 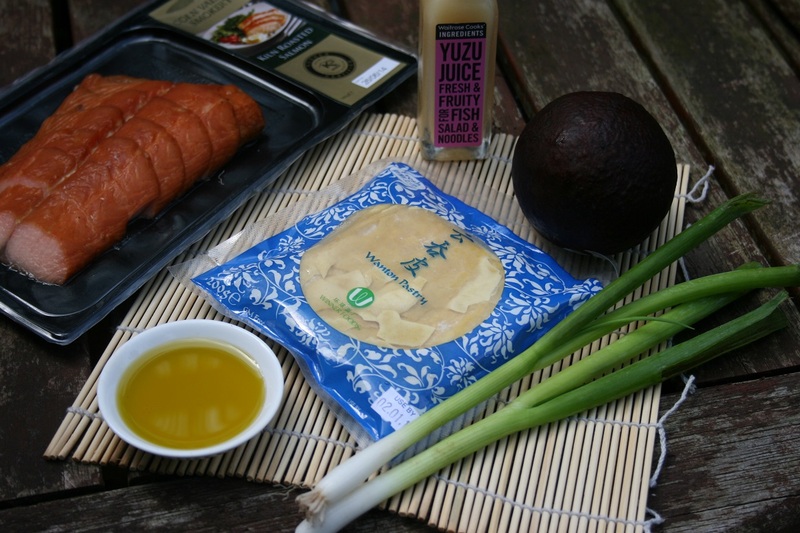 You could substitute some of the oil with a little sesame seed oil for an extra flavour kick. Add salt and pepper to taste . To be fair at this point if you just wanted to eat this as a salad, no one would blame you. 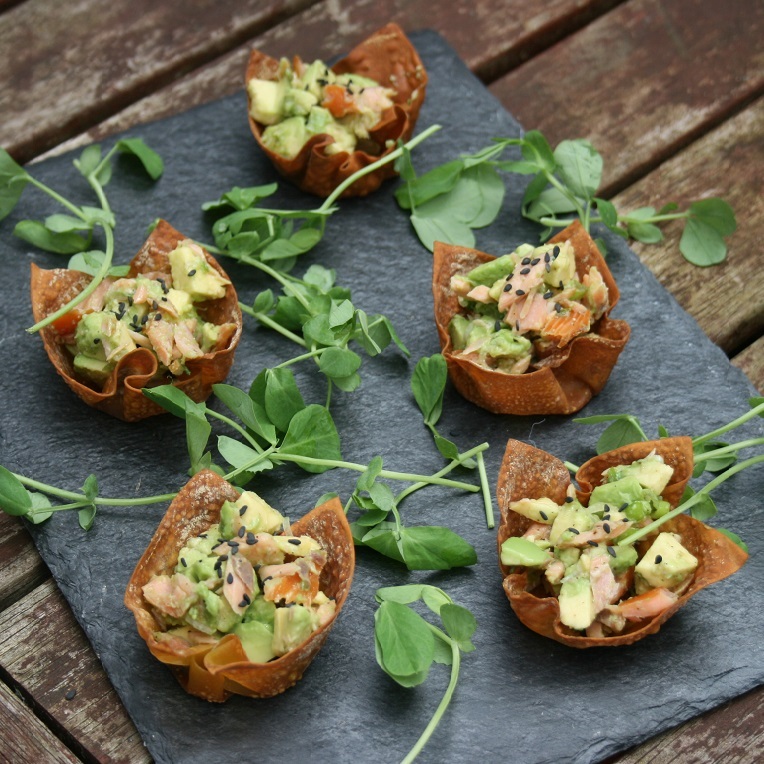 Or, you could of course, take the filling and and add it to the wonton cups and sprinkle on a few sesame seeds to up the impressiveness of the dish. I hope you and your guests enjoy.